Thanks for the links, some interesting reading. Probably the B85 would be the safest pick as vitconik has one in his signature and getting 14W idle, so fits the range you are looking, not sure the other two, probably the Z87 will be less efficient with the VRMs oriented to overclocking. Yeah, despite the shenanigans with the MicroServer it's still good to see what other people managed to get rather than taking a chance. All the review sites don't really test ultra low power operation properly. Now one important thing to note is that you might be able to drop let says 15W for a headless unit or less (depending on the components), but the reality is the 3.5 hdds will increase the the idle by 4W each, unless you can sleep them (i never could under whs on my HBAs), so how important going for an extreme low power setup, will matter less once 3.5 mechanicals enter the equation. I will report back how much difference they make. I didn't do anything special to get sleep mode working, I just enabled it in Windows 7. The drives are spun down about 90% of the time or more. When I browse the DLNA server from my TV there is sometimes a few seconds of delay while a drive spins up, but otherwise it works flawlessly. I have yet to find a mobo that doesn't support it, so perhaps it is a WHS issue. H81 is not new. It's the usual low end, like H87 but with less stuff. Lacks internal USB3 (for front ports) etc. Thanks. I feel like such a n00b, and I've only been out of the game for a few years. Did you ever decide on parts for your new NAS? I've been looking around googleforever, trying to figure out what I'm going to use to build. Everything Ive seen is not really low powered.. They are saying 60w idle is low powered, and parts are usually old/discontinued. Finally came across this thread on google, now see in this forum people are actually looking to get low powered. Been interested in what you pick out. I don't have to go less then 10w but lower power usage the better. I'll be back in Japan in September so I was planning on waiting until then to buy anything. As well as the excellent exchange rate making it all much cheaper, the selection in the UK is pathetic. The only thing I will get here is a case. I prefer to buy in person rather than over the internet. That way I can be reasonably sure that the NSA/GCHQ didn't intercept the order. The only actual shops near my UK home are all awful. Yah, not too worried about that. I want low powered, but not expecting that low thats for sure. Just dont want the same usage as a full blown pc. Id expect it to use some more power then that qnap anyways since I want at least 4 HDD, and something faster. Specs on it are pretty low. So many apps I cant use on that qnap because it just can't handle it. And transfers are SOOoooo slow! 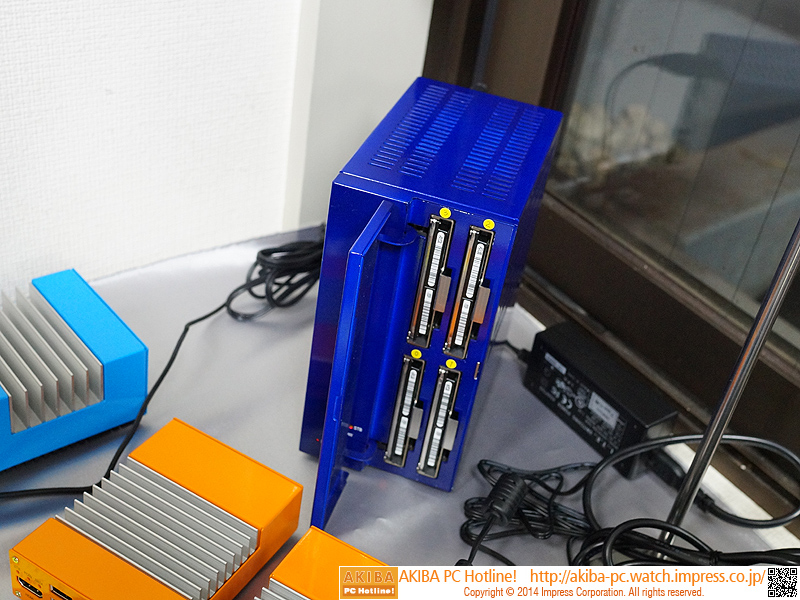 Asume if you get low power componets, that you will be close to 10W (its tough though maybe between 10 and 15), and then 5W per 3.5 hdd you add, so expect around 30-40W idle, unless you can sleep the hdds. Do people really have such a huge problem sleeping their HDDs? I just enabled the option in Windows and it worked, on multiple machines. Are there problems with certain motherboards or chipsets or something? A fair number of RAID controllers don't allow spindown even when not using the RAID functionality. They need to be set to HBA mode, assuming that is possible. I've never seen anything that works as a standard AHCI controller that didn't support spindown. Ah yes, hardware RAID controllers. Not really built for low power operation. But why is anyone here bothering to use them? Apart from power consumption they tie you to that particular RAID system, where as a simple software RAID is fully portable. A single HDD can saturate a gigabit ethernet connection these days so for NAS I'm struggling to see the performance advantage... There is RAID5 I suppose but it isn't a replacement for backing up, and most of the cheap RAID cards do the actual calculations in software anyway. Also, for a NAS I'd say SMART monitoring is pretty essential, and most of the RAID controllers that don't support power management don't support SMART monitoring either. Ah yes, hardware RAID controllers. Not really built for low power operation. Not just hardware RAID controllers. Lots of Fake RAIDs have this problem too. They are nothing more than a standard controller shiped with a RAID BIOS + Driver. Remove the BIOS + Driver and you have a standard disk controller which supports spindown. But why is anyone here bothering to use them? Then your only choice is a real deal hardware RAID controller, with its price, power consumption and other drawbacks. Ah yes, hardware RAID controllers. Not really built for low power operation. But why is anyone here bothering to use them? Because motherboards usually don't come with more than 6 sata ports. Most just use Raid cards like IBM M1015 or Dell Perc5 and flash them to IT firmware and use them as plain sata ports. Really comes down to the card and the software used, i cant sleep my hhds on M1015 but i can get all smart info from them with stablebit scanner. Windows 8 Storage Spaces does support RAID 5, and performance is pretty good. Good enough for NAS, certainly. But yes, with Windows 7 you are stuffed. Sure, to clarify I was talking about using them in hardware RAID mode, where drives can't spin down. Windows 8 Storage Spaces does support RAID 5, and performance is pretty good. I'm not sure what you define as "pretty good" performance, but every benchmark I've seen and my own tests show that storage spaces has terrible write performance when using RAID 5 (parity space). Write speeds are well under what gigabit networking can do. Even Microsofts own documentation on storage spaces performance states: "The caveat of a parity space is low write performance compared to that of a simple or mirrored storage space"
I know for some use cases slow write speeds aren't a deal breaker. However if you do need good write performance on RAID 5/6 on Windows you need either Intel Raid (6 disks or less, no RAID 6) or a HW controller. 15W with a Core i7 and fairly average power supply. Moving to a high efficiency DC PSU and a more efficient CPU could get down to 10W or so I think. Even 15W would be excellent, less than half what my MicroServer is capable of. I just needs two more SATA ports. Most of the CPUs idle similar, even quads are a just a little higher than dual cores, with my MSI H81i with G3220 and 2.5 mechanical hdd i was idling around 13W, with an i7 4770K and SSD (old though) im around 17W idle. But with intel and older i3 2100T, it idles around 11W or so. Motherboard do matter to achieve as low as you can, MSI might be good with this ECO gen, but the standard motherboards are just average in consumption. As i said earlier, vitkonic also has setups with Asrock as his motherboards idling between 11-13W, so i think you have some good options around. Personally i prefer intel, but thats just out of my personal experience and what i seen from others, but AsRock probably will be my next candidate once i need to update my mini setup... maybe around skylake, although with things like NUK and passive cooling cases.... i might also go that route. As i said earlier, vitkonic also has setups with Asrock as his motherboards idling between 11-13W, so i think you have some good options around. I prefer Asrock boards. Never had good experiences with MSI, although that was years ago, but Asrock are usually solid. 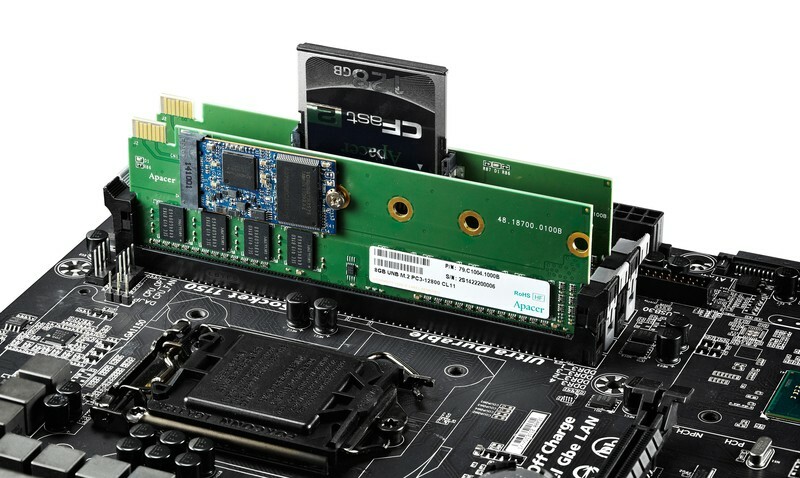 The A1SA7-2750F has an LSI RAID controller with 16x SATA3 ports on board. Couldn't find any info on power consumption, but it is Atom based (quad core with AES support). Unfortunately as well as being rather expensive it also only fits their own special chassis, and doesn't even come with a standard ATX backplate. Unfortunately they have not decided if they are going to release it, but a system like that would be lovely. Passively cooled, Atom CPU, multiple drive bays. A 3.5" bay would be nice. Unfortunately they have not decided if they are going to release it, but a system like that would be lovely. Passively cooled, Atom CPU, multiple drive bays. A 3.5" bay would be nice. Thanks Abula. These custom solutions are always incredibly expensive for what they are, or have an ARM CPU or non-standard BIOS so you can't easily install your own OS. A little case like the one I linked to, maybe with a single 2.5" bay for an SSD and a 3.5" bay for hard drive. Years ago I had a tower system that could expand by adding extra 5.25" bays to the top. Something like that for a smaller NAS would be ideal. Maybe it's time to buy some Meccano. A CFast (Compact Flash) socket on a DDR3 DIMM... Um... So it's a way to add an SSD without taking up a SATA port? Weird stuff. Probably not very cost effective. Boot from a USB stick? I found a DQ77KB mono n Akihabara. The Xeon CPU is proving harder to get. Can anyone recommend a different CPU to go with this board? The Intel references for the DQ77KB should tell you all you need to know, overview and list of compatible processors. BIOS versions may be an issue. Thanks, but are there any that are specifically recommended for low power operation? I was going on rotor's experience with that Xeon. Would I be right in thinking that a 3rd gen Core i3 or i5 would be a good bet? The Core i3-3220T which is a 2.8Ghz part with a TDP of 35w would be a good choice, if you can find one. It will require that your board have a BIOS version 28 or above (the latest is 54).